T-Mobile is currently running a deal that’ll get you a free Galaxy S8 when you buy a Galaxy Note 8, trade in a device, and port in a new line, but if you only need one new smartphone, Samsung’s got a deal on the Note 8 that you should check out. Samsung is now offering $200 off the T-Mobile Galaxy Note 8, leaving it at a price of $750 or $31.25 per month for 24 months with Samsung financing. Samsung is also offering up to $300 off your purchase with eligible trade-in. The devices that are eligible for trade-in include the iPhone 5 and up, iPhone SE, Galaxy S5 and up, Galaxy Note 5, LG G4 and up, Google Pixel, and Google Pixel XL. What’s more, if you buy a Galaxy S8, S8+, S8 Active, or Note 8 from Samsung, you can get a pair of AKG headphones for free for a limited time. These are the AKG Y50BT On-Ear Bluetooth Headphones that normally sell for $180. 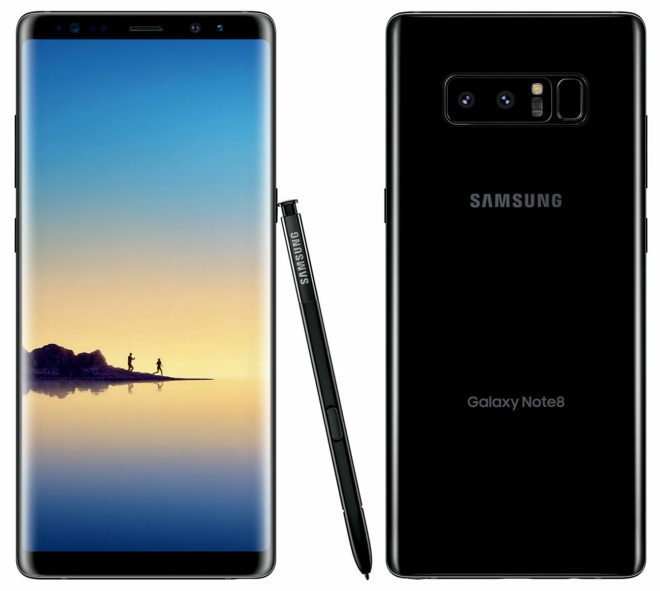 While buying a Galaxy Note 8 from Samsung isn’t quite the same as buying from T-Mobile since you’re not paying for your phone through T-Mo like you do your monthly wireless bill, these Samsung Galaxy Note 8 offers are pretty nice and are worth considering for anyone that’s been thinking about picking up a Note 8. They’re only available for a limited time, though, so you may want to act soon if you’re interested. It’s crazy to me that even with $200 off, the device just now costs as much as the Note 5 did when it debuted less than 2.5 years ago. I love buying new phones every year, but with diminishing returns on new features, these seriously escalating prices just don’t seem justifiable anymore. I love my Note 8 (which I managed to get for $425 off due to the Note 7 fiasco), but I don’t think I’ll be able to justify spending around $1,000 on a Note 9 this year. This is compounded by the fact that a lot of upper-mid range devices seem to be “good enough” now. Something needs to change. Should have bought the BF Z2 Force for $300. Yeah, way smaller. Just like@ Hooters, size kinda important. Smaller how? Phones are identical size almost but obviously the screen is bigger on the 5t, and it has the extra ram, camera pixels, storage (no biggie there as the Z2 has SD card support). Personally the Z2 Force with the battery mod is unbeatable in my book as battery life is so important to me and nothing will beat that combo with a snapdragon 835. Yes, there’s some issues with the phones screen, but for $300 the Z2 Force was the deal of the 2017 year IMO. I to had the Moto X Pure with similar results and swore I’d never buy another Moto but the Z2 Force was to good of a deal. I’m shocked at how good the battery life is on the Z2 Force. I added the cheapest battery pack giving me around 5000 mah and end the day with around 50% with heavy, heavy use. People are having the screens start to peel but mines been ok so far. It’s by far the best phone I’ve owned. Not to mention the free projector mod I also got, I could not be happier. It was really the bad battery life and the lack of updates that told me to just not get another Moto device. I mean oto g5 plus which i got for less than$200 ( I think$198) was a steal but i just didn’t like it. When I bought the Moto Z, I just kept the battery mod on mine. Made the phone thicker and heavier but worth it imo. Not sure about the screen scratching. I always install a tempered glass screen protector or really good other kind before I even start using any phone. Seriously, I can’t go back to 5.2-5.5″, where most bargains abound…not even 6 only anymore. I will give in re specs to whoever is brave enough to do 6.5 or 7″w/ NFC & Oreo. I almost pulled the trigger on the 5t, best phone for the money. Is the LGV20 eligible for the $300 update? So you get $200 off buying thru Samsung and another $300 off if you trade in a phone? Brand new at 600 is a great buy. I traded in my S7 Edge for $250, so total of $450 off the phone. $500 for the Note 8 plus the AKG headphones seemed too good to pass up to get the current flagship phone, even if it’s about to be one upped by the S9/S9+. FYI, iPhone SE typo in the article. When is the $200 off Note8 and $300 off trade-in offered from and till?? Use the Samsung Shop app is cheaper. I was able to get to $430ish for T-mobile. I have to trade in my good Note 5, which is not going to worth $350 out in the market now. Realistically, you can sell the BT headphone for $50-$60. I seen the numbers on ebay. But … I found no use for the s-pen. I might just wait for S9+ which is coming next month. And the S9+ will have Band 71 support. I was tempted on the Note8 as well, especially considering I could sell the headphones & the $350 trade on my Note5, but I think it’s probably worth waiting for 71. If I’m spending this much on a replacement, I might as well spend a little more and be future-proofed. Do you miss the s-pen? The S9+ will be a little little little bit thinner than N8. But $350 trade for the Note 5 is nice! Now is the time if you want the Note. I think I have used the S-pen maybe three times since I have been using the note. It’s definitely not a dealbreaker for me. Yeah, the $350 was tempting, but I want some of that band 71.